Another interesting clash awaits the football fans as two European countries will face off in the second round of Group F campaign. Germany will play against Sweden at the Fisht Olympic Stadium in Sochi. Germany has suffered a defeat to Mexico in the previous round of their group campaign. They lost by the result of 1-0. Lozano scored mid-first half followed by an assist from Chicharito. This could have been an embarrassing night for the European giants if not for a collection of missed chances from Miguel Layun and Chicharito Hernandez. Mexicans came with a plan which they executed perfectly. Low’s players were often caught unprepared and unable to cope with the oppositions fast counter-attacks. In the end, those counter-attacks proved to be a huge problem for the Germans and from one of those counters they scored. Unlike their rivals, the current World Cup champions were unable to capitalize on their shots. By the end of the match, they had 30 attempts on goal. This was the first time that Germany has lost the opening game of the World Cup since 1982. The players agree that some changes need to be made. It even went as far as to them giving statements on how they must not dream of winning the Cup and how they need to focus only on the upcoming matches. The fact that they have only one win from the previous seven clashes is a true indicator that they need to switch the momentum. Despite their bad form, compared to the standards they set four years ago, they are still one of the favorites to progress far into the competition. A Â£500 Bet on Germany to win and Over 2.5 goals returns Â£1150. Click here! Sweden has returned to the World Cup after a twelve year fast with a victory. On Monday, they managed to defeat South Korea by the score of 1-0. Both sides missed a lot of chances and in the end, the Swedes took the win with a goal from Andreas Granqvist from the penalty spot which was given with the assistance of VAR technology. If they succeed in remaining undefeated after this outing they could be well on their way to the knock-out phase. The area of the game that seems to be lacking is their attack. This was their first goal in over three matches prior to the cup. It will be interesting to see how the Swedes prepare for this clash as they are too defensive and nowhere as fast as the Mexicans, therefore ruling out the possibility to try and get the win from the counter attacks. These two sides have a long history between them. They played their first game at the World Cup in 1934, and the most recent one in 2013. Out of the fourteen matches between them, Germany has won nine, Sweden has won one, and the remaining four meetings ended as draws. It is worth noting that they averaged eight goals per game in their previous two encounters. The Swedish players will have a hard task in this game, despite GermanyÂ’s mediocre form. Joachim Low: "It was no doubt a painful defeat against Mexico. We made many mistakes but we have processed them, talked about them and trained to avoid them." Janne Andersson: "Whether we knock out Germany is one thing, but we have a chance to qualify and that is extraordinary." Germany don't have missing players for this important game and all players are highly motivated for the match. They are eager to beat Sweden and will do their best on Saturday night. On the other side Sweden also don't have fresh injury concerns and Andersson could decide to select the same XI for this game. All players are highly motivated to play strong and aggressive football, but all of them know this will be a truly hard match. We expect one interesting and exciting football game with lots of excitements and thrills. 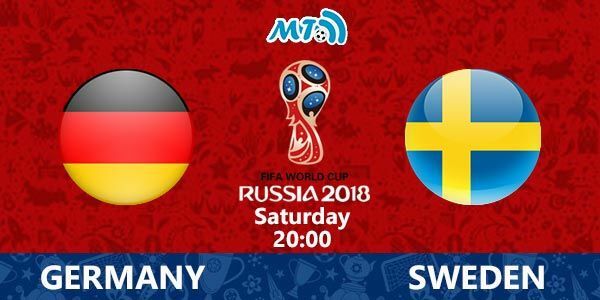 Match Germany vs Sweden brings us a perfect betting opportunity and looks like this game is going to be a true ticket booster game. After a shocking loss in their tournament opener against Mexico, Germany will look to get back to winning way. They are highly motivated to beat Sweden and all players will do their best. 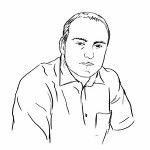 Joachim Low could make a number of changes in response to his sideÂ’s opening-game defeat and we expect to watch much better Germany on Saturday night. Germany are actually in pretty average form, having won just one of their last six matches, and this is a must win game for them. On the other side Sweden have picked up all three points from the previous match and they will play strong and aggressive from the first minute. They got their World Cup campaign off to the perfect start with a 1-0 victory against South Korea and have a real chances to reach the next round. Sweden will be encouraged by their defensive performance though and their main objective for the match will be fast counterattacks. However, our prediction and betting tips for the match Germany vs Sweden Prediction: Germany to win. They are the reigning champions and they are absolute favourites to win this game. We expect from them to hammer Sweden and to score at least three goals. They are highly motivated to reach Round of 16 and all players will do their best on this match. We don't expect from Sweden to score, so our second betting pick for the match is Germany to win to nil. Germany will score at least three goals against Sweden and you can try to win more cash with bet on Over 2.5 goals. We expect from Germany to hammer Sweden on the Matchday 2 and our risky bet goes on Correct score 4-0. They are much better team who are big favourites to play in the finals. We expect from Mario Gomez to start this game and believe he can score at least one goal. So our risky bet goes on Gomez to score. Have a nice betting day and good luck in earning money with our football prediction and betting tips.